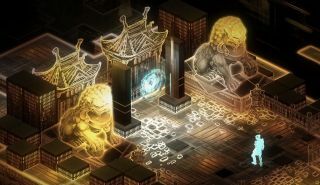 If you like a beautifully drawn cyber-fantasy cityscape then pour the Shadowrun: Hong Kong launch trailer into your eyes for 58 seconds before being faintly reminded of Max Payne by the outro cello. This is the Kickstarted sequel to Shadowrun Returns (74 in our review) and its excellent standalone expansion, Dragonfall (81 in our review). As is typical of the series so far, the sequel relocates to a new setting with a new crew. The sequel also features "expanded magic and cyberware" systems and an upgraded editor that will let people set their own campaigns and share them on the Steam workshop. It's out now on Steam, but seems to be cheaper on GOG and the Humble Bundle store.